The Java Wand lets you enjoy a fresh cup of coffee anytime…and helps prevent teeth staining! The Java Wand is a hand crafted, glass straw that brews and filters coffee, tea leaves, herbs, and infusions through an attached mini French press filter in the convenience of your mug. Simply add hot water to your medium coffee grinds, brew, build flavor and sip to the very last drop through your beautifully handcrafted Java Wand. Your portable wand is packaged in a carry case that contains a secret compartment to transport your favorite coffee. Be an environmentally responsible coffee drinker while minimizing your expenses! The Java Wand eliminates the need for coffeemakers and filters. This unique new gift item is packaged in a beautiful transparent carry case, making it a great gift idea for family and friends, for any occasion. 10% of all proceeds are donated to Oprah’s Angel Network. 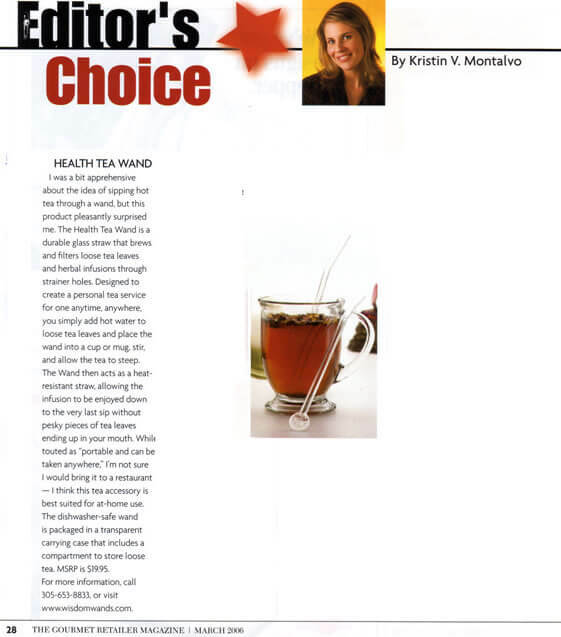 As Featured in Martha Stewart’s Body, Mind and Soul Magazine. 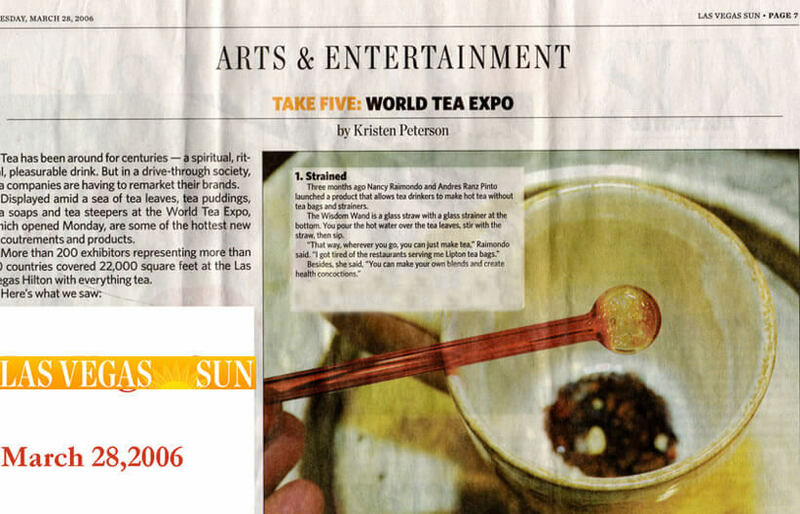 The Las Vegas Sun chose The Health Tea Wand as first selection for innovative new products at the 2006 World Tea Expo. Gourmet Retailer Editor’s Top Ten Selection of 2006.